AudioGil – Spanish Institute is not only devoted to promote language tourism in Spain, but also to make students discover the wonderful culture and fabulous landscapes of the Region of Valencia. This is why we offer a vast choice of extra-curriculum activities, for the delight of our students. Although we offer gastronomic, linguistic and artistic activities, our students clearly show more enthusiasm for those related to sport and ecology. 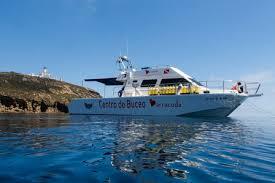 One of the extra-curriculum activities that our students demand the most is the boat tour to the Columbretes Islands. 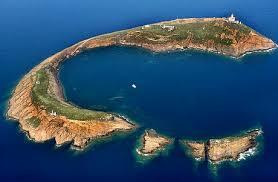 It is group of four volcanic islands located in the Oropesa Cape (Castellón, the Region of Valencia) representing one of the most ecologically interesting archipelagos in the Mediterranean sea. The Columbretes Islands are 30 nautical miles away from the Grao of Castellón and they attract scuba diving lovers from all over the world. It is without a doubt the best example of volcanism in the Iberian Peninsula. We offer this activity to AudioGil – Spanish Institute students of all ages and nationalities (even local students) only during the summer months. The visit starts when the boat leave the harbour of Castellón, at 8:00, so that it reaches the islands at midday. Once in Columbretes, the student go for a stroll on foot on the island with their monitor during approximately one hour. They eat there and finally, they snorkel. The full visit lasts for about ten hours and includes a guided tour, the boat ticket and the snorkel session. Our students say it is “a perfect and fun day in a natural area”. And, as we all know, learning a language doesn’t only take good linguistic competences, but also opportunities to practise it, and, if this happens in idyllic surroundings, all the better! When it comes to offer our extra-curriculum activities, one of the distinguishing aspects of our school is that we propose those activities to both international and local students. And since AudioGil – Spanish Institute is part of a group of companies dedicated to teaching, this represents (great) added value and motivation. From AudioGil – Spanish Institute, we encourage you to choose the Region of Valencia for your linguistic stay so that you can enjoy every opportunity that this region full of diversity and riches has to offer. We promise you won’t regret it! In this portal when you start to make the combination of the cards then it look like me miracle http://myspades.org. All the card numbers remain in the ascending order and they make very perfect sequence in the very short time and after finish your task your time will be count and after it your game rank will be decide.